Epidural steroid injections are a safe, effective and minimally invasive means of controlling spine and extremity pain caused by bulging discs, surgical scar tissue or degenerative disc changes. Facet Joints are small joints located between and behind adjacent vertebrae. 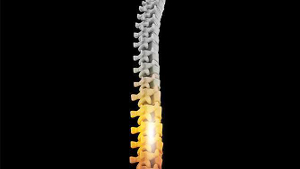 There are two facet joints at each level of the vertebral column, providing stability to the spinal column while allowing movement. They are found at every spinal level, except at the top level of the cervical spine. Greatly reduce the need for surgery by treating injured tissues before the damage progresses any further. Imagine alleviating your knee pain without having to get a knee replacement. Spinal Cord Stimulation is a proven, safe and effective therapy for managing certain types of chronic pain. Led by Samuel Essandoh M.D. who is fellowship trained in pain management from the prestigious Memorial Sloan Kettering Cancer Center in New York, earned his subspecialty certification in pain management from the American Board of Psychiatry and Neurology (the only board certification on pain management recognized by the American Board of Medical Specialties). Dr Essandoh is also board certified in Palliative Medicine and so understands what suffering and empathy is all about. Our staff are affectionate and will treat you with the respect you deserve. We see our dear patients as one big family and strive to keep the family together with the most scientific and evidenced based medicine approach. Our goal is to ensure our patients get their life back to the best of our ability using injections, electrical stimulation, medication, physical therapy and consultation referrals. We employ stringent policies, abiding by State Medical Board policies. If you suffer from chronic pain, call us for an appointment. We look forward to helping you. At Oracle Pain Management we specialize in comprehensive treatment for the most effective pain relief. We provide a centralized, comprehensive center for evaluating pain. We provide customized consultations with imaging review Radiologist. We treat isolated joint pain including shoulders We treat headache and migraine symptoms. The cervical, thoracic treated for radicular disc disease as well as arthritis. We have one of the longest experience of treating osteoporotic Ohio since 1998. We treat cancer related pain for patients requiring tumor ablation tumor cryoablation of the appendicular skeleton and spine. Oncology patients can receive infusaports, and long term IV access such as Hickman catheter placement. Patients with feeding difficulties or head and neck cancers can receive Gastric tube placement and management. 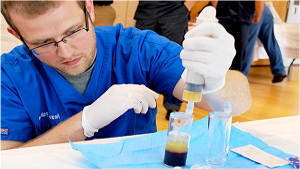 We perform Bone marrow, organ and tissue biopsies. Patient with fluid accumulation can receive thoracentesis, paracentesis and pleurex catheter placements. We can discuss and recommend treatments for complex regional pain including treatments with trail and permanent spinal cord movement disorders. Dialysis patients are provided selective care for temporary and permanent catheter placements. Dialysis candidates can receive Fistulagrams with potential de-clot, angioplasty and collateral vein embolization. Patients on PD can have catheter evaluation and permanent PD catheter placement as an outpatient. We offer many procedures and treatment plans suited to your specific needs. Epidural Steroid Injections are used to manage nerve root irritation caused by spinal disorders. Common conditions treated are: herniated or bulging discs, disc degeneration, spinal stenosis, arthritis, trauma, post herpetic neuralgia and diabetic neuropathy. Facet Injections and Medial Branch Blocks address inflamed facet joints due to trauma or arthritis. These injections can reduce pain and be used as a diagnostic tool. Radiofrequency Ablation helps patients who have experienced short-term relief following facet injections, medial branch nerve blocks, or other painful nerve pathways. This procedure uses small electrodes to heat and destroy or stun and reset pain pathways and can provide long lasting pain relief. Trigger Point Injections treat painful soft tissue (muscle) points by injecting small amounts of local anesthetic and/or anti-inflammatory medications into specific muscles/muscle groups. Joint Injections treat inflammatory joint conditions, such as rheumatoid arthritis, psoriatic arthritis, gout, tendonitis, bursitis and osteoarthritis. Horizontal therapy, alpha stimulation and medical rebuilder for management of chronic pain especially when injections and medications has not helped you much. Our Weight loss program is non surgical. Clinically proven methods using diet and medications that are non addictive. We work with the primary care physician and other specialist to optimize our patient’s pain management. We are pleased to be working in the Hilliard, Ohio area and look forward to serving our clients in Primary care and the patients in the community. Epidural Steroid Injections are used to manage nerve root irritation caused by spinal disorders. Facet Injections and Medial Branch Blocks address inflamed facet joints due to trauma or arthritis. Radiofrequency Ablation helps patients who have experienced short-term relief following facet injections, medial branch nerve blocks, or other painful nerve pathways. We are one of the few centers that offer comprehensive neuropathy pain management.